Play Incredible Guitar Solos Essential Exercises | Free eBooks Download - EBOOKEE! Posted on 2019-01-29, updated at 2019-04-10, by nokia241186. If you had the freedom to play anything you wanted on the guitar, what would you be playing right now? If you're like most people, you might hesitate to answer this question because you feel like it would be considered unrealistic or you feel like maybe you're just not the guitar soloing type. You've got a busy schedule so maybe you don't have time or maybe you just can't afford lessons with top quality teachers. It's perfectly normal to feel this way, but I'm here to tell you, if you feel the guitar calling out to you and you want to play beautiful solos, then you'll be able to do it! And it's not as hard as you might think. A few years ago I was just like you. I didn't see how I could possibly master the art of playing inspiring guitar solos. The dream was too big and my idols were too good. Maybe guitar gods became a phrase because the rest of us mortals simply couldn't ever learn to play like them. After I mastered these 3 pillars, I thrived. I've been able to play onstage with nearly 100 different singers and groups, I've won multiple awards and recognitions including the runner-up prize in a national guitar competition sponsored by Elton John's guitarist and most importantly, I can plug in and play great guitar solos on-demand. The 3 pillars are not hard to understand. The problem is that people fail to actually master them. I know it's hard to build discipline to practice. That's why I made this course. In this course I'll give you access to the exact practices that I used to master the 3 pillars of guitar plus I'll include a 4th section that shows how build on these pillars to take you from a complete beginner to a master of guitar solos. Each lesson is about 5-10mins and will feel as if I literally sat down to practice with you so you won't have any excuses to get distracted or sidetracked and I'll answer all your questions as we go through the exercises so you never get stumped. This will put you in the top 5% of guitarists who actually have a practice schedule so you can improve much quicker than everyone else. This course is great for absolute beginners as well as knowledgeable players who just want to get better at playing solos. 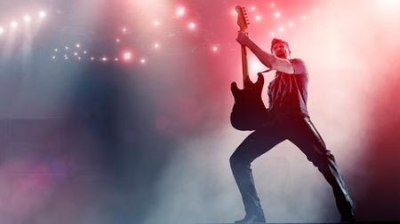 So if you're ready to take your guitar solos to the next level, sign up for the course right now. Or check out the free video previews to learn more about how you can start to master the guitar TODAY. 2019-01-31Guitar Exercises Made Simple Play Better Guitar Guaranteed! No comments for "Play Incredible Guitar Solos Essential Exercises".